When you’re a kid skipping school, your parents are probably the last people that you’d want to run into. For one San Francisco kid, luck was not on her side. 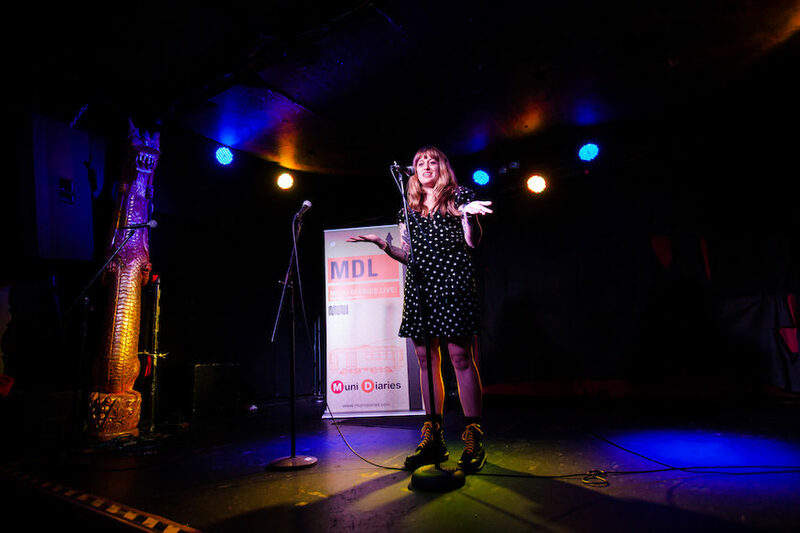 Storyteller Meaghan Mitchell is a native San Franciscan and news editor at Hoodline, which you can imagine gives her tons of local cred. 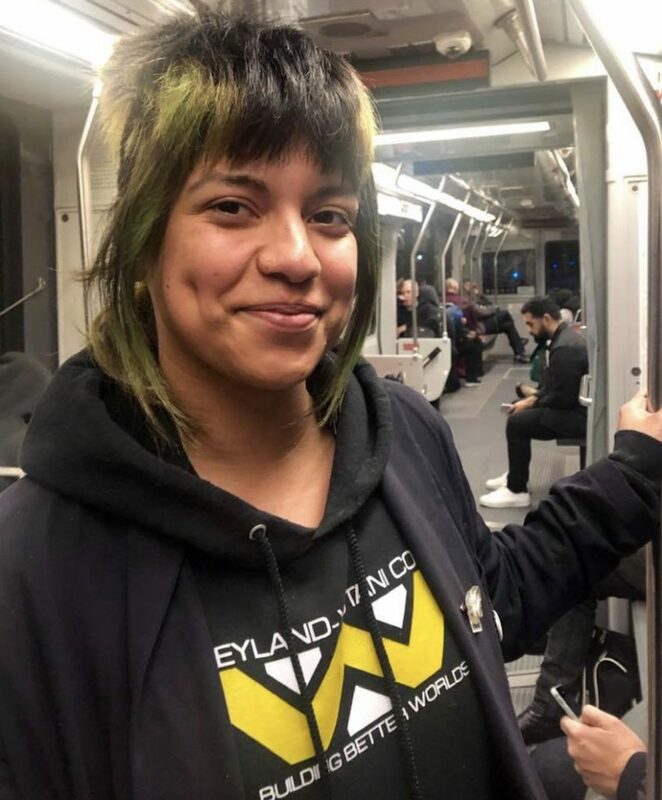 In this week’s podcast episode, Meaghan shares a story of one really hard day at school and how it brought her to a familiar face on Muni. As an essential part of living here, Muni is so often the backdrop of childhood memories for native San Franciscans, like this story from Yayne Abeba, whose mother often gave her and her siblings money to ride Muni as a way to get them out of the house. If you liked the stories you’ve heard on our podcast, come see us live on March 7 at the Betabrand Podcast Theater! We will be bringing the podcasts live to you for the first time with a studio audience! Tickets are only $5 and on sale now. 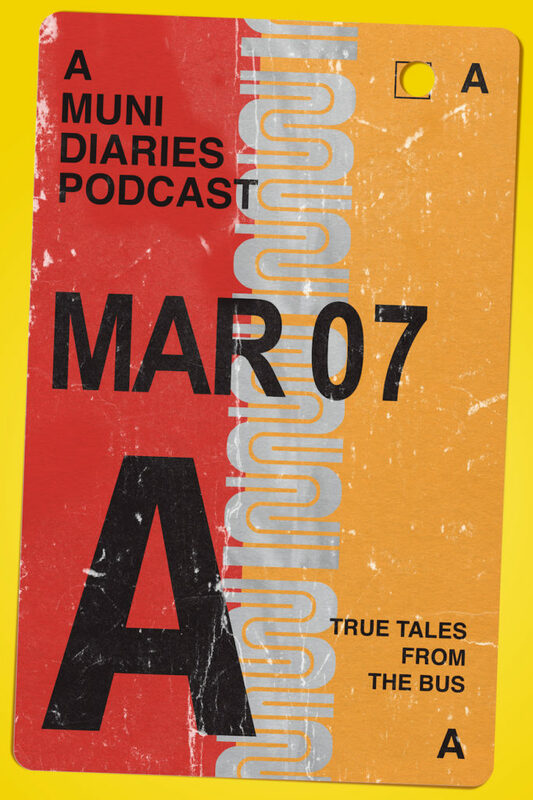 See Muni Diaries at the Betabrand Podcast Theater on March 7! We’re coming out of our humble podcast studio, rosé in hand, to record our first live episode at the Betabrand Podcast Theater! On March 7, we’ll bring our podcast live to you at the Betabrand store on Valencia Street, where you’ll hear hilarious and true stories from on and off the rails, and watch us chat live with some of San Francisco’s most seasoned commuters. 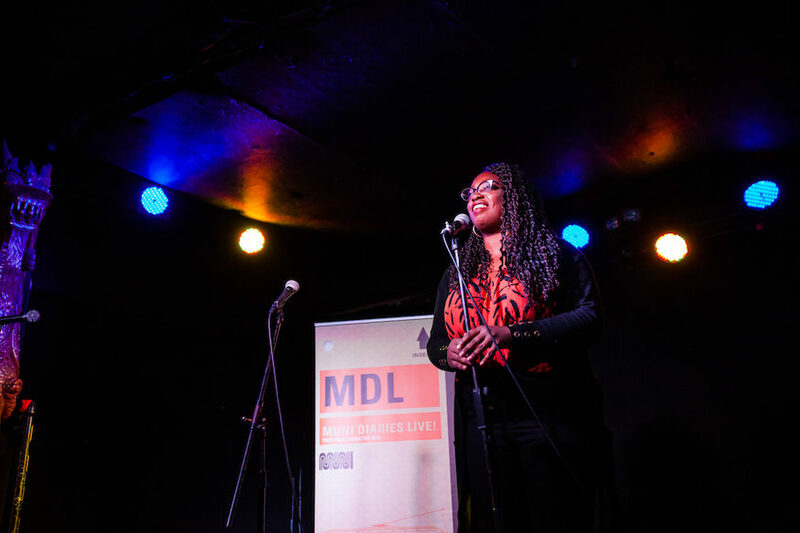 You’ll hear tales from storyteller Dhaya Lakshiminarayanan and The San Francisco Chronicle’s Heather Knight and Peter Hartlaub. And just for the Betabrand Podcast Theater, we’ll bring you a new segment called “Ask Driver Doug” featuring longtime Muni operator Doug Meriwether. Tickets are only $5 for our first live podcast event, so get ’em while they last! Doors: 6:30 p.m., Show 7 p.m.
Take Muni there: 12, 14, 22, 33, 47, 49. Or take BART: 16th Street Station. When German writer Sara Weber tweeted about her mom’s interesting way of knitting scarves, she probably never imagined it would set the internets ablaze. But take it from us—people love talking about transit and transit delays. Apparently, they love when both are captured as creatively as this. Weber’s mom channeled her public transit frustrations into a knit pattern in the style of a temperature blanket. You can see that, in the spring, things were pretty OK given the gray and blue stripes, but in the summer, railway replacement traffic caused massive delays in Germany, which gave the scarf its wide swath of red. Thanks to fellow yarn enthusiast Shannon Okey, who translated Weber’s tweet, we found out what happened next. The scarf went viral on social media in Germany, and the women decided to auction it off for charity on eBay. According to The Guardian, the scarf fetched more than $8,000. Guess who emerged victorious? Germany’s biggest rail company, whose delays have earned the ire of many commuters—including the knitting mom. Isn’t it ironic…don’t you think? Can you imagine if Muni bid on and bought your handmade scarf illustrating bus delay frustration? Thanks to Muni Diaries friend @edcasey for discovering this super relatable transit rider story. Got your own story, whether it happened on or off the bus? We’re all ears! Submit a tip or a story via email at muni.diaries.sf@gmail.com, or tag us on Facebook, Twitter, and Instagram @munidiaries. Pete Mulvihill is living every book lover’s dream: owning the bookstore he loves. Pete took a winding road to co-owner of the city’s beloved Green Apple Books, and we can’t thank him enough for keeping this space alive. 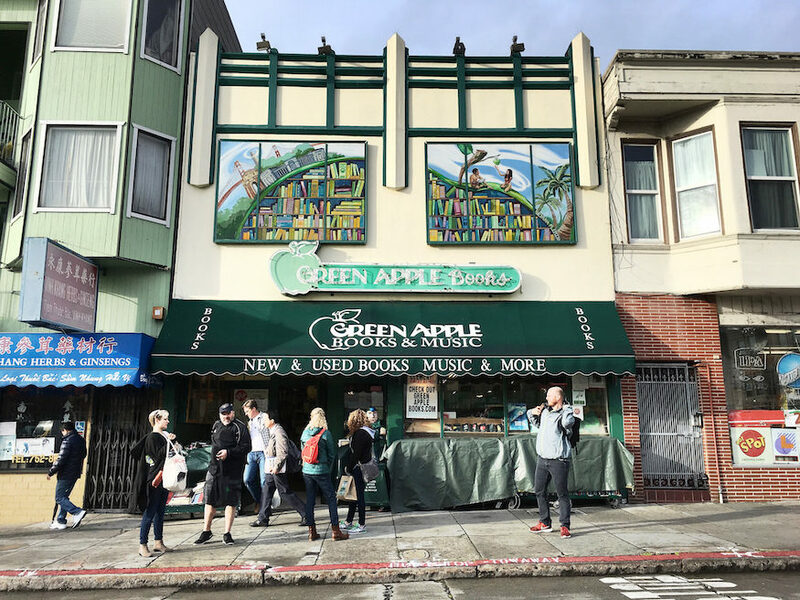 If you haven’t been to Green Apple Books, you owe it to yourself to make a trip: the sprawling bookstore on Clement Street features both new and used books, with witty staff commentary peppered throughout the shelves and many nooks and crannies (figurative and literal) to explore. In this episode of the San Francisco Diaries podcast, San Francisco Diaries episode, Pete walks us down that winding road to co-ownership. Want more bookstore tales? Check out our earlier episode with Alan Beatts of Borderland Books. If you liked what you heard on our podcast, please consider supporting us on Patreon! Every dollar helps us keep the lights on and get even more stories into your ears.